Which sister is better looking? Who do wewe ship Ichabod with? what will blow Ichabod crane mind in the 20 first century. Did wewe catch pilot yet ? How did wewe like first eps of sleepy hollow ? I wanted to like the season one finale. I really did. And I know a huge part of finales like this is to leave us with a big cliffhanger so we're all on the edge of our seats going "OHMYGAWD, what's going to happen next?!" and start crossing the days off the calendar to count down the days to Season 2, Episode 1. 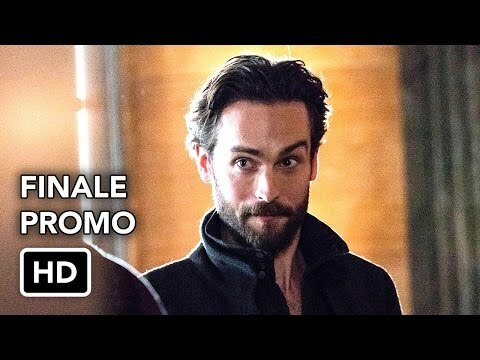 Sleepy Hollow wrapped up its freshman season Monday night with a finale packed full of major twists and a whopper of a cliffhanger that left pretty much every major character in a terrible, life-threatening position. So I'm sure I'm not the only one that was left frustrated and mind-blown at the end of the most hivi karibuni episode. A couple of things keep swirling through my mind, though. What’s the secret to Sleepy Hollow‘s success? It’s easy to point to any number of factors — breakneck pacing, sharp writing, a Supernatural premise that takes itself just seriously enough. Ask a Sleepyhead to answer that question, though, and chances are they’ll respond with just two words: Tom Mison, a.k.a. the English stage actor who stars as moody, arch, utterly captivating man out of time Ichabod Crane. 1- Tom Mison. I need not say more. 2- I like the chemistry between Tom Mison and Nicole Beharie. It’s fun watching Ichabod and Abbie work together. 3- Watching Ichabod learn all about the 21st century is very entertaining. 4- It’s fun to see the many layers of the onyesha being peeled away with each episode. 5- There’s a great mystery surrounding Katrina. 6- wewe really don’t know who wewe can trust in Sleepy Hollow. a poll iliongezwa: What did wewe think about Freedom (4x13) Season Finale? a poll iliongezwa: What did wewe think about Tomorrow (4x12)? Let's chat about Sleepy Hollow!